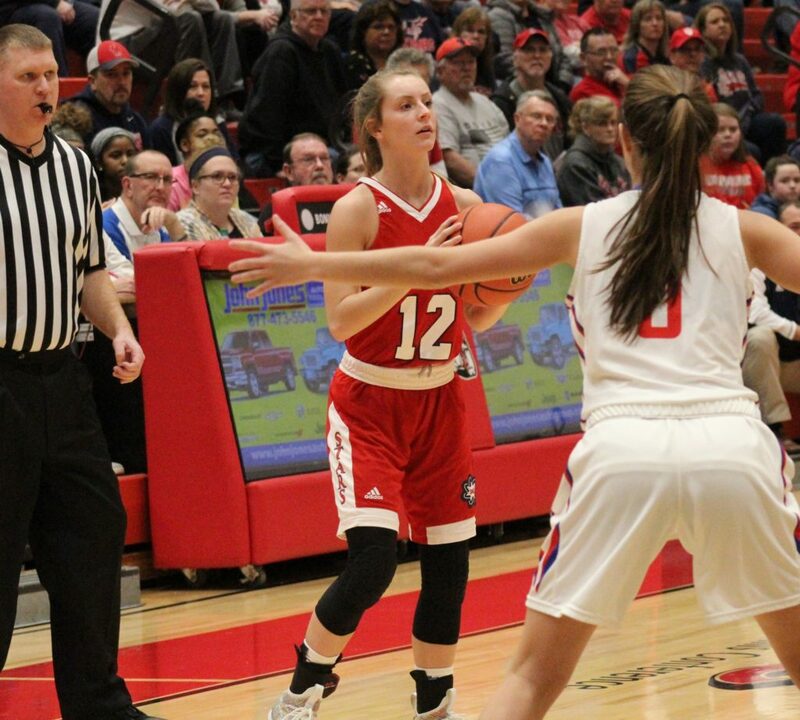 BNL’s Jacy Hughes is part of a six-player senior class that departs the program with 86 wins and four sectional championships. BEDFORD – Those naked rims, shorn of their prize, stared down as BNL Fieldhouse slowly emptied, Castle’s contingent refusing to leave until the cheering finally died and Bedford North Lawrence refusing to believe its quest was dead. The Knights celebrated long, justifiably so, after their tough rally to claim the Class 4A regional championship on Saturday night, a 54-48 triumph that ended its long drought and ended BNL’s successful 2018-19 campaign a couple of steps shy of the goal. The Stars finished 23-6, heartbroken and disappointed after failing to defend their regional title and chase another trip to the IHSAA state finals. For most programs, being included in the Elite Eight is great. For BNL, coming off a Final Four appearance a year ago, it wasn’t quite enough. Madison Webb will become the focus of the BNL offense in 2019-20. Yet the season should not, can not, be viewed as any sort of failure. 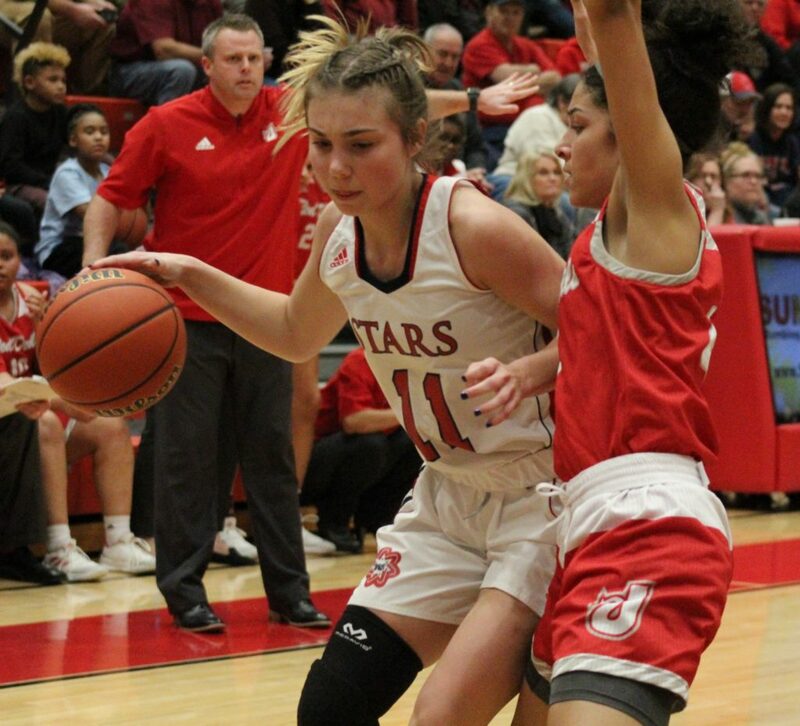 The Stars spent the bulk of the year ranked among the state’s best, won a share of the Hoosier Hills Conference crown, won their eighth consecutive sectional title, and won more games than all but four 4A programs. “You have to call it a good year,” BNL coach Jeff Allen, and few teams played a tougher schedule. 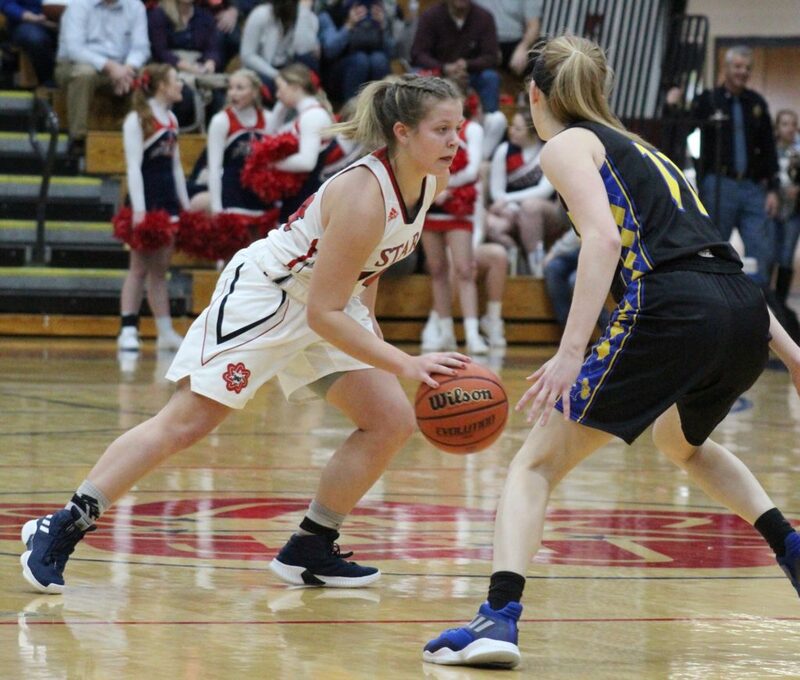 BNL won 12 of its first 13 games, battled Ohio power Mount Notre Dame, competed in the prestigious Hall of Fame Classic, and powered through its first four postseason games. The Stars went through a tough January, falling twice to tumble from the poll, but they were at their best for the state tournament. 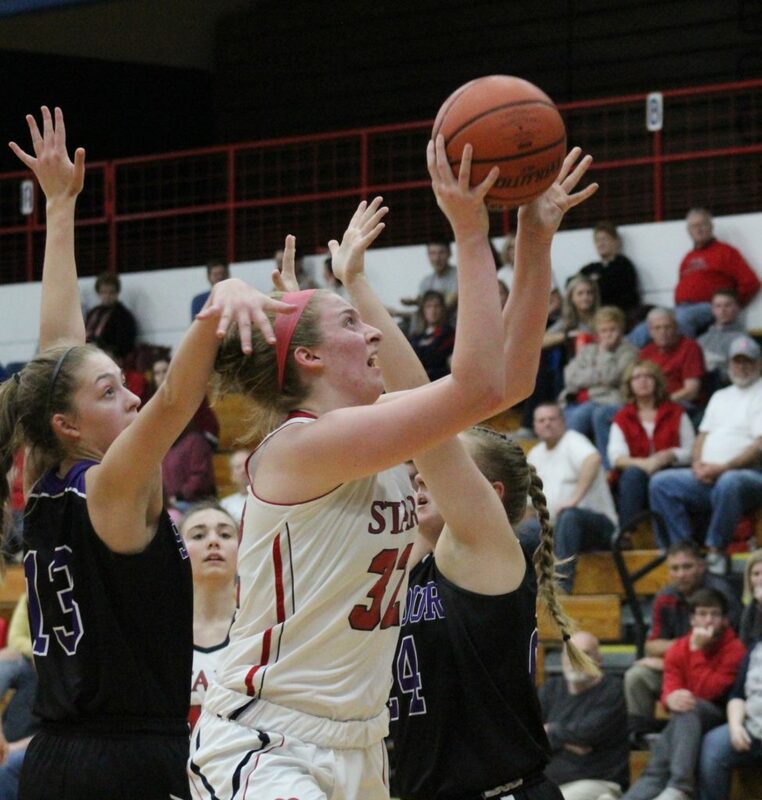 The memorable moments were many: Allie Fugate’s game-winning shot at Bloomington South, Jorie Allen setting the career scoring record, Katie Fisher’s performance in the consolation game at New Castle. Those three were part of the six-player senior class (including Jacy Hughes, Abby Riley and Sylvia Woods) that set the tone for the season. Gracie Crulo-Rood will be one of three returning starters. “When you have a big senior class like that, it’s a big loss,” Allen said. “From a coaching standpoint, it’s the day-to-day stuff, the fun you had with those kids. That’s what I’ll rememeber the most, what I will carry forward. Hopefully they can look back and smile on it, too. Allen, a four-year starter, averaged 19.1 points and 8.0 rebounds, finishing her career with 1,930 points. Madison Webb totaled 9.3 points and 7.0 rebounds, sophomore Chloe McKnight totaled 9.0 points, and Hughes contributed 7.0 points and 3.8 assists. BNL must replace Allen (destined for Indiana University) and Hughes (IU Southeast) in the starting lineup for next season. That means Webb, McKnight, junior guard Gracie Crulo-Rood and sophomore reserve Irye Gomez will counted on to fill considerable holes. Chloe McKnight averaged 9.0 points as the top perimeter threat. The Stars will have to learn how to play, compete and win without an Allen in the lineup for the first time in 8 years. Jorie created a lot of openings while attracting double-team (sometimes triple) attention. Leadership will also be a key. “Ultimately we won’t have a player like Jorie, but there are a lot of kids to fill roles and make us competitive,” Allen said. “That will be a huge adjustment. You can’t descirbe it until they get out there. That will be a work in progress. I expect somebody to step up and fill the scoring role. The returning veterans are ready for the challenge. They will be motivated by the conclusion of this season. “I’m excited for next year,” Crulo-Rood said. “I think a lot of people are curious how next year will look, losing two starters and half our varsity team. We have an expectation to hold up. Of course, some whispers have already started. Next year is the year to beat BNL, to end its sectional dominance. That will be determined on the court. “First of all, if I’m the target and on top, that tells me we’re doing something right,” Allen said. “I always like that view a little better, when people don’t like us and want to see us fall. They’ve said that every year, but we continue to do things the right way.